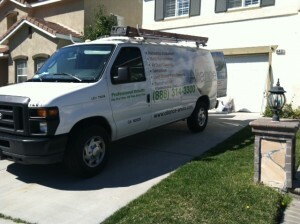 The mold team at our Los Angeles office got called out on a mold abatement job this week in Chino Hills and we thought you might like to hear more about it! 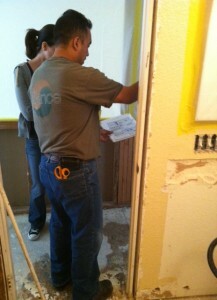 Santiago, Jose and Laura went out to this project to assess, estimate the cost and perform the work. A pipe burst in the second floor restroom. Water leaked into to the kitchen and created mold on the studs. 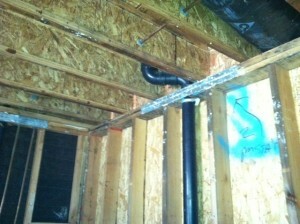 We had to grind 4 feet instead of 2, just to be safe than sorry if there was additional mold hiding beyond the 2 feet. 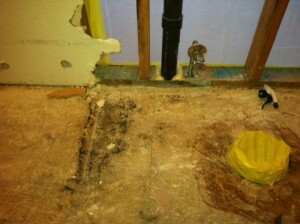 It's very important to make sure that mold will not recur after the walls have been restored! 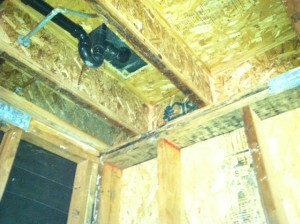 Mold spores are everywhere, just waiting for some moisture to let them grow and spread! Make sure that as soon as you have fixed the source of that moisture, you also deal with any damage or mold that may have taken hold as well. Mold doesn't go away by itself!